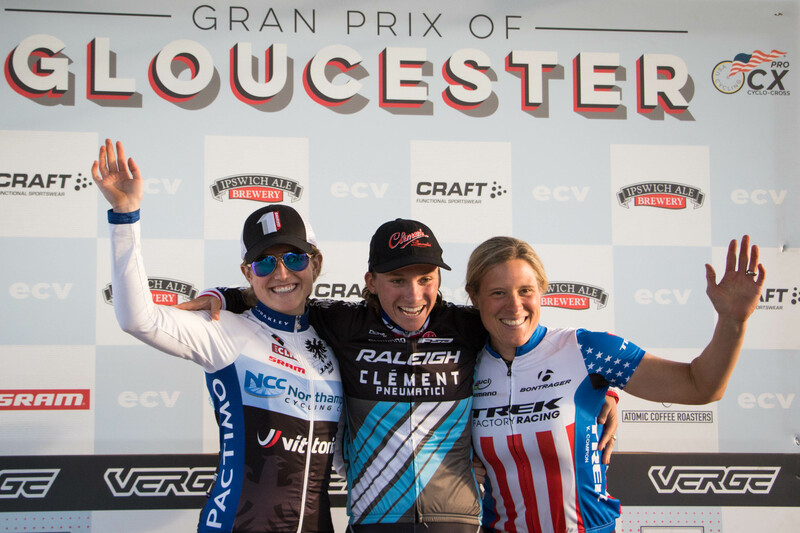 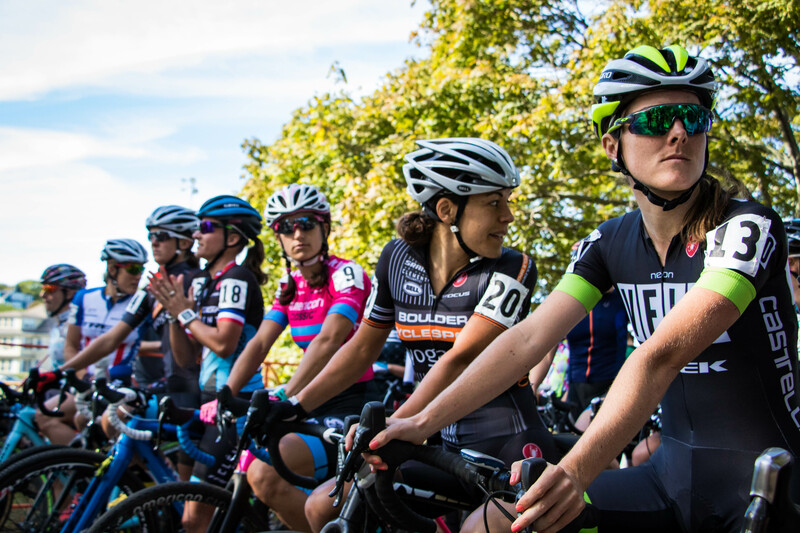 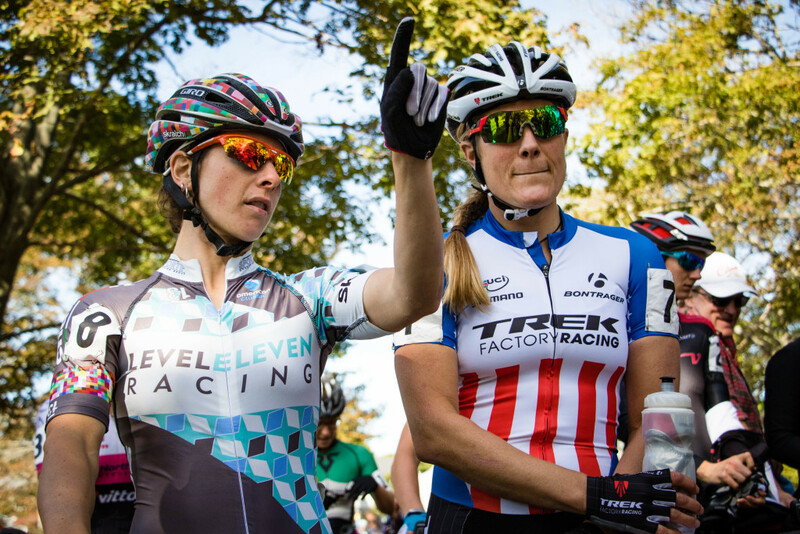 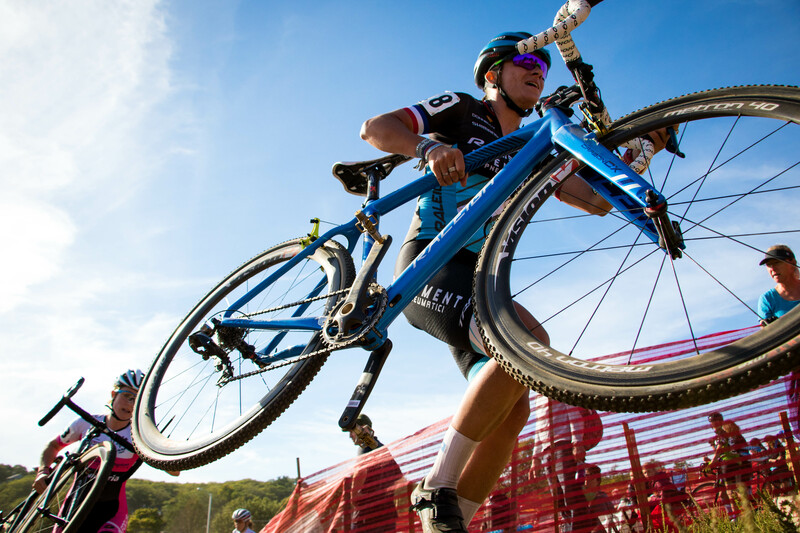 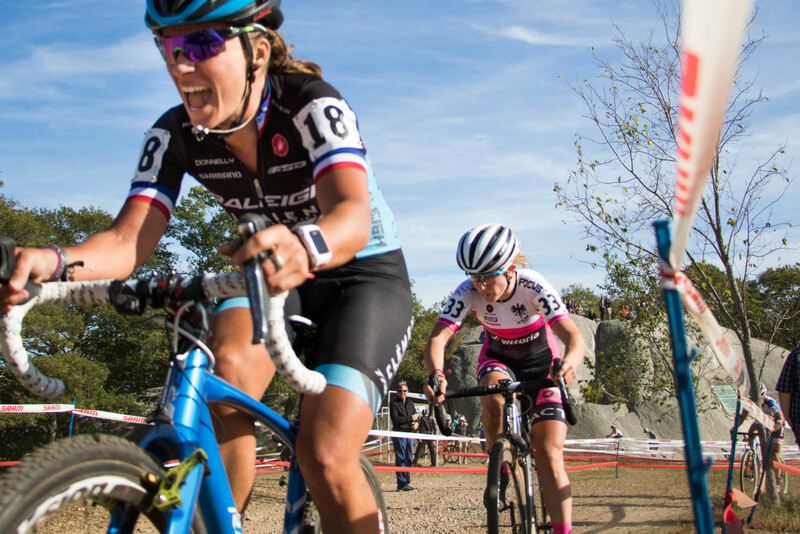 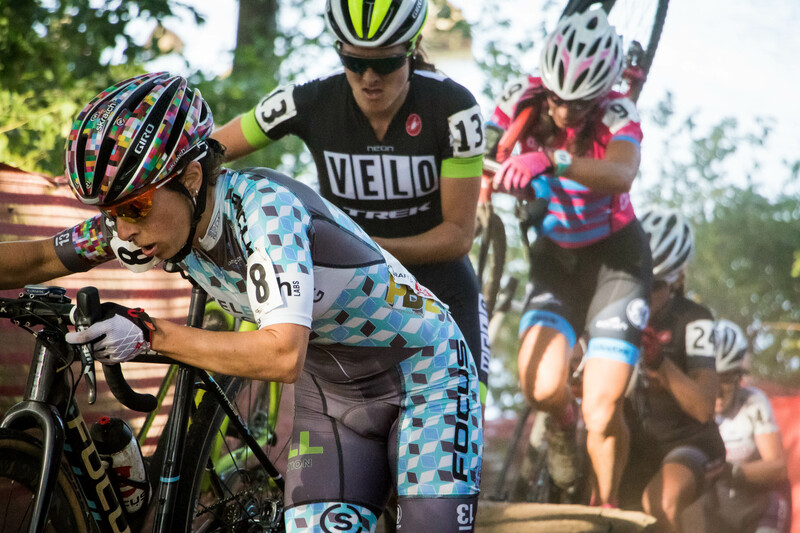 The domestic UCI calendar returns once again to Stage Fort Park in Gloucester, MA to kick off New England’s Verge series. 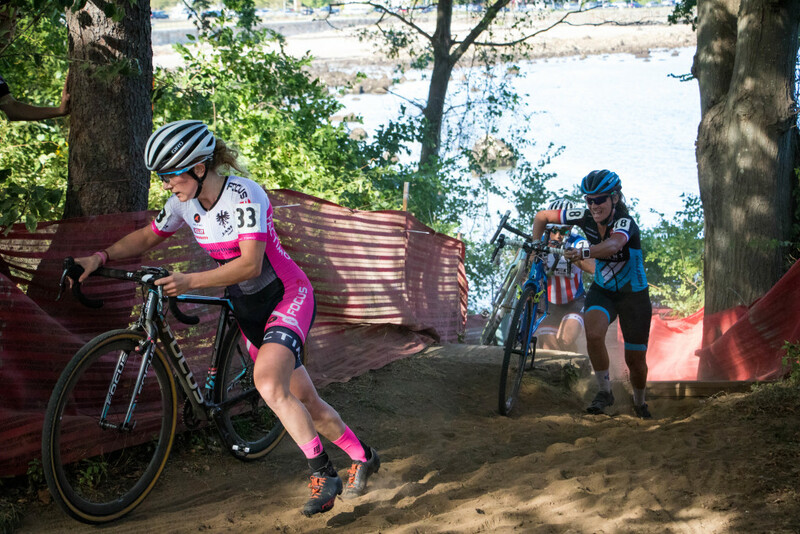 Gloucester is part of New England’s “Holy Week” of cyclocross that kicks off with the Midnight Ride. 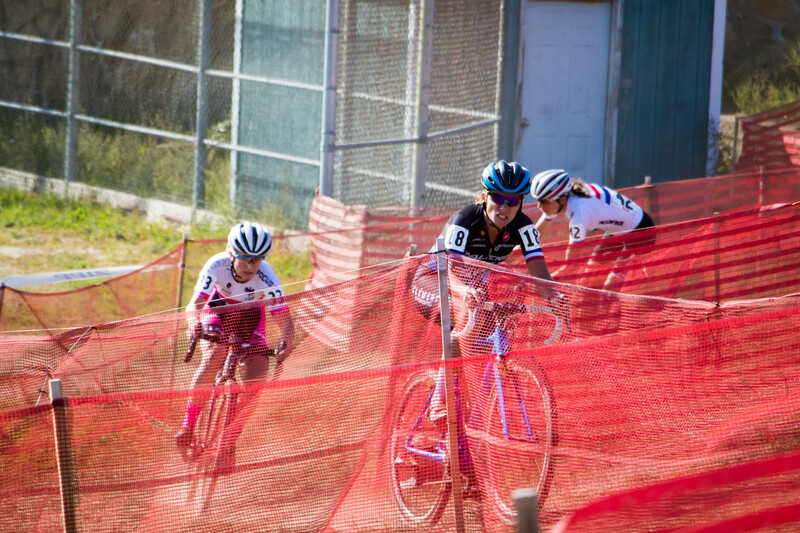 Weather was comfortable in the mid-60s and sunny. 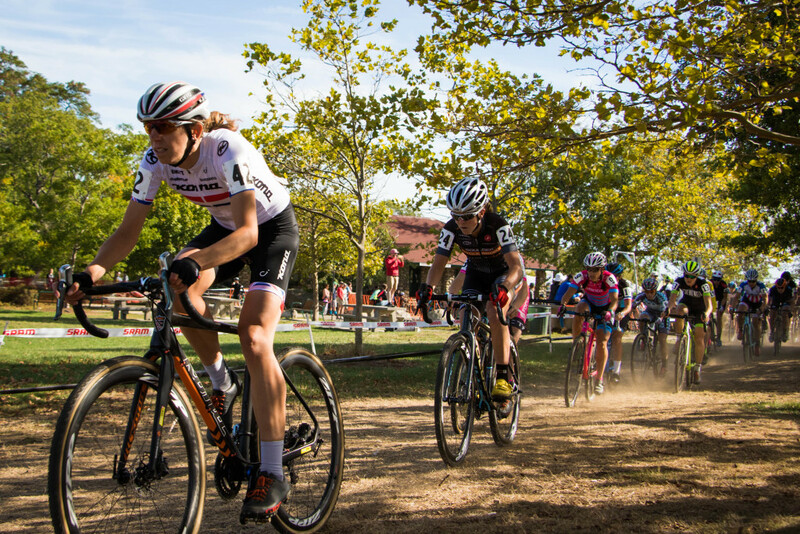 The course was fast, bone-dry, and a real dust bowl. 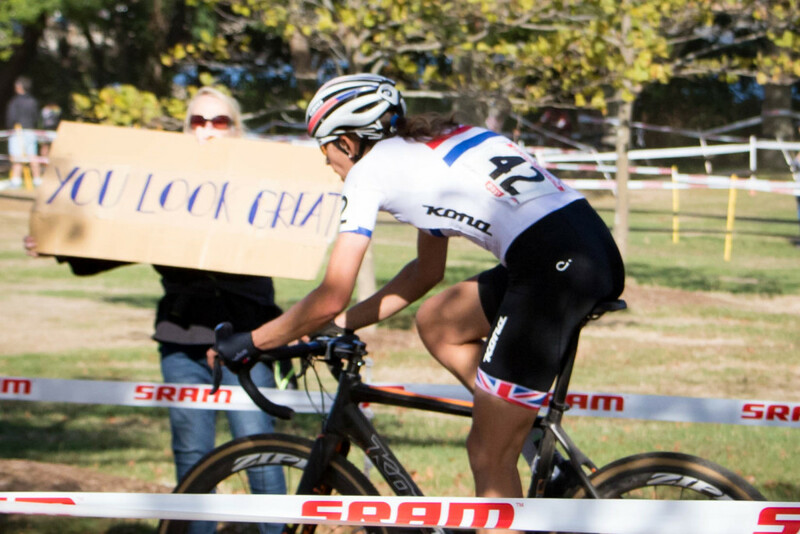 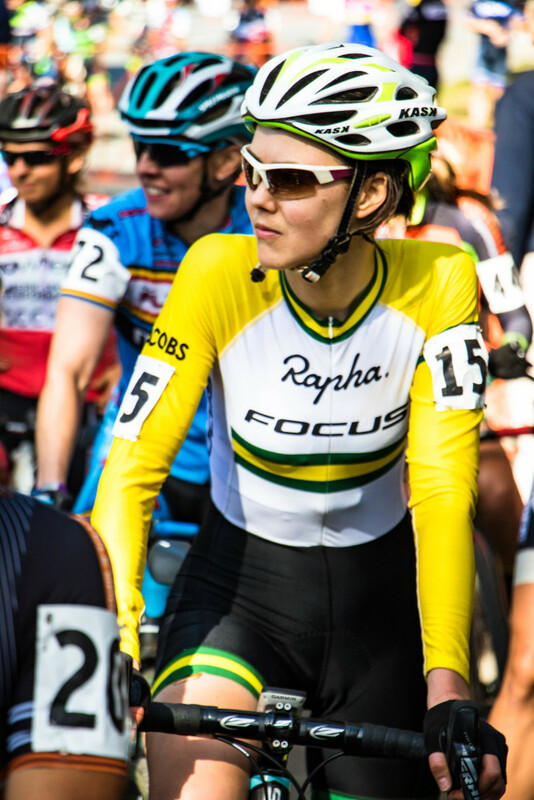 Also sighted, Lisa Jacobs (Rapha-Focus), current Australian cyclocross national champion. 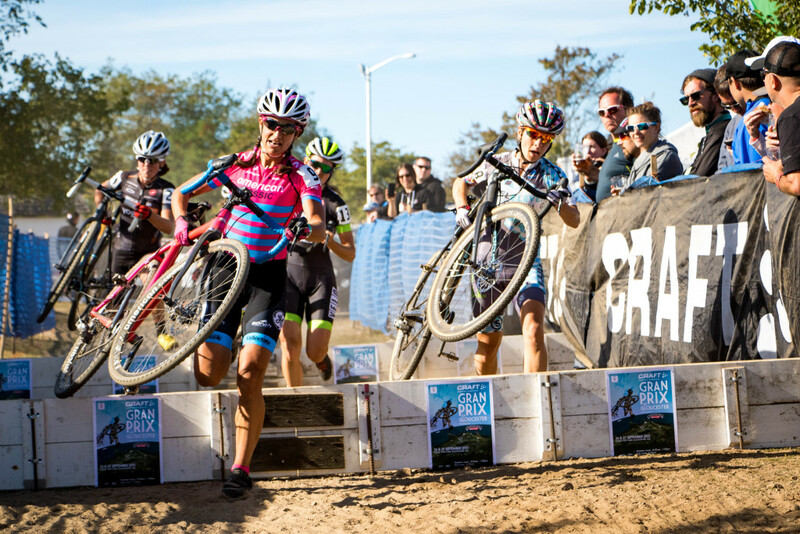 From the gun, the race was dominated by Ellen Noble (JAM Fund), Caroline Mani (Raleigh Clement), Katie Compton, and Helen Wyman (Kona Factory Racing), with Wyman taking the holeshot. Moments later, Noble would come to the front and push the pace, forcing a selection that would hold for the entirety of the race: Noble, Mani, and Wyman, with Compton chasing on after starting a few places down. 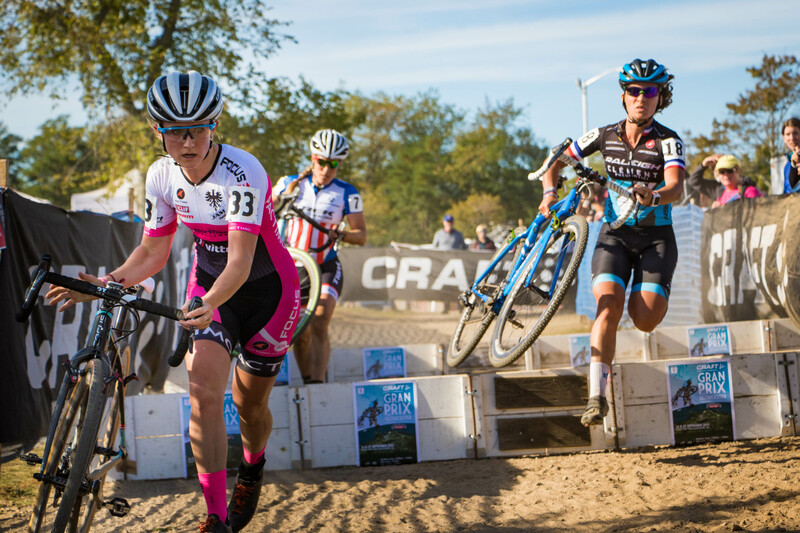 Two laps in, and Noble, Mani, and Compton were together, with Wyman falling just off the pace ~20s back, and ~20s more to the group of women chasing for 5th place. At the run-up a lap later, the situation at the front of the race remained unchanged: 3 off the front, Wyman in between, and chase-group together. 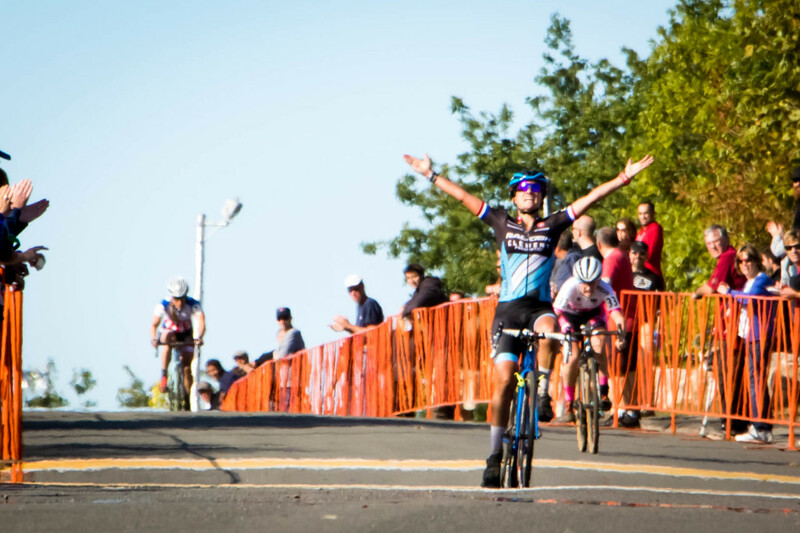 While Noble put on a fantastic show early to animate the race, with 1 lap to go, Mani hit the afterburners and left Noble hanging on and soon opening a small gap on Compton. 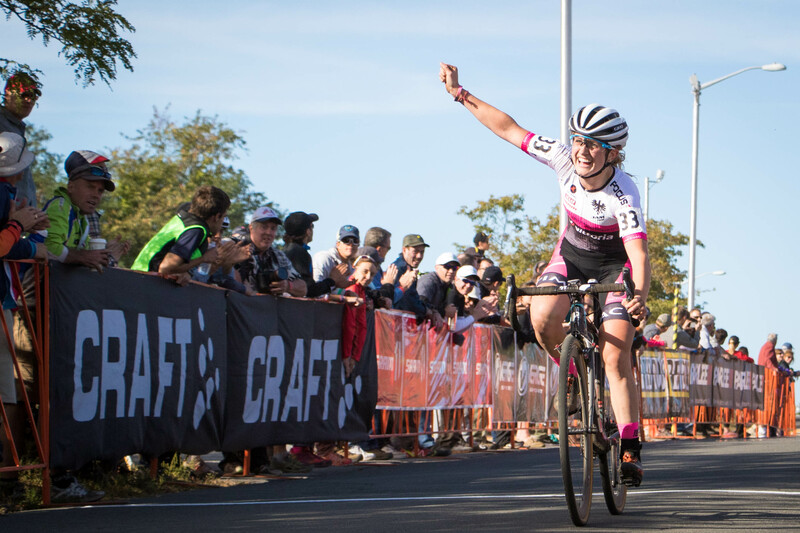 As the leaders reached the long, slightly uphill finishing straight, Mani had plenty of room for a solid victory salute. 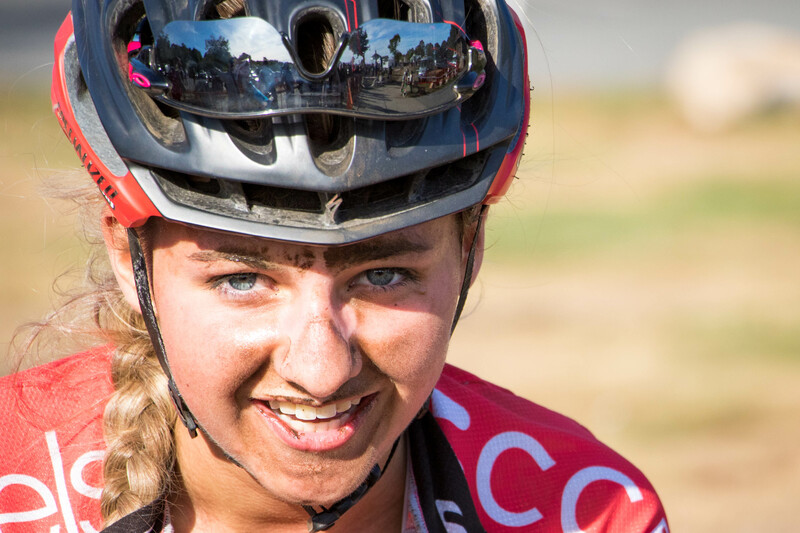 Despite missing out on the win, Noble finishes in 2nd place, all smiles. Compton takes 3rd, Wyman 4th, and Amanda Miller (Boulder Cycle Sport/YogaGlo) rounds out the top-5. 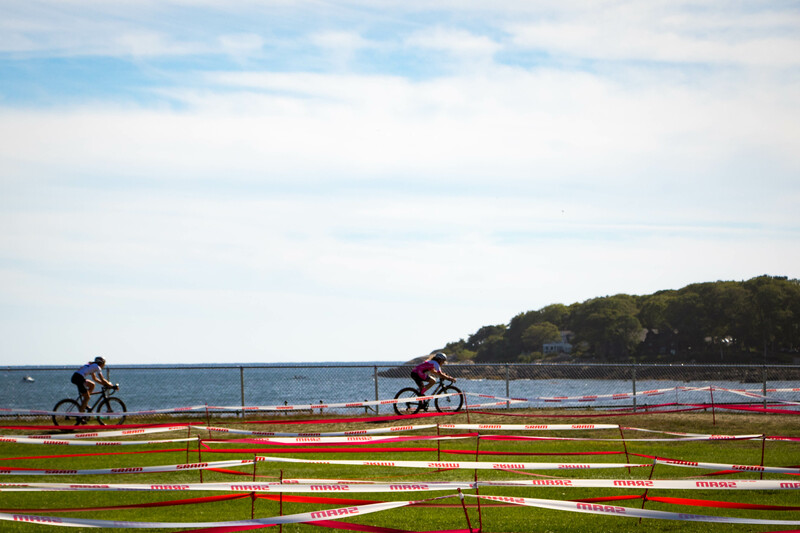 Bonus points to Siobhan Kelly (To Wheels/Epic Sports Performance) for showing off the course conditions. 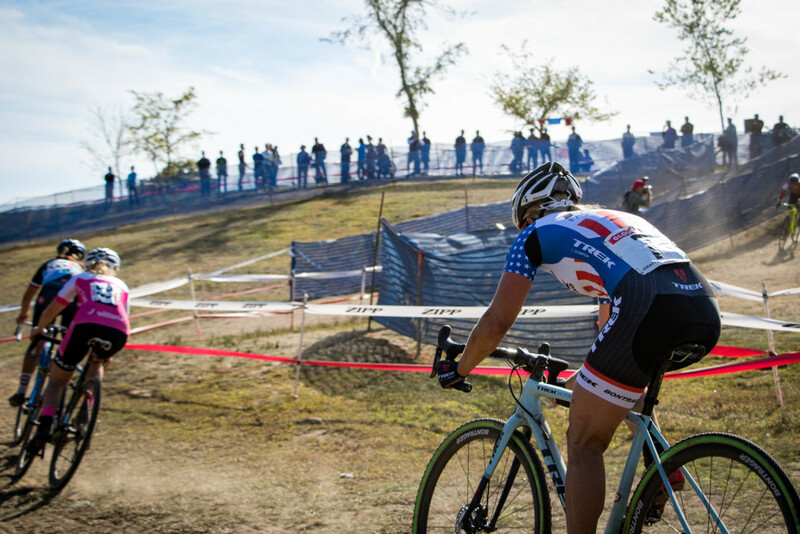 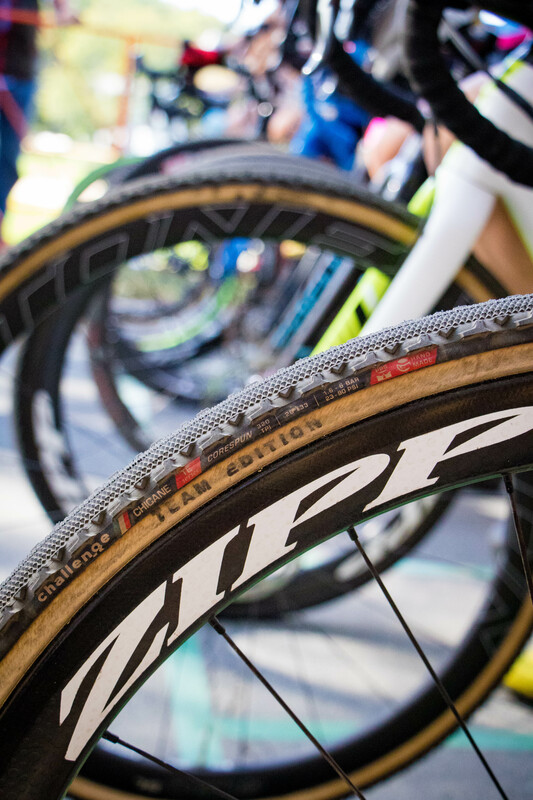 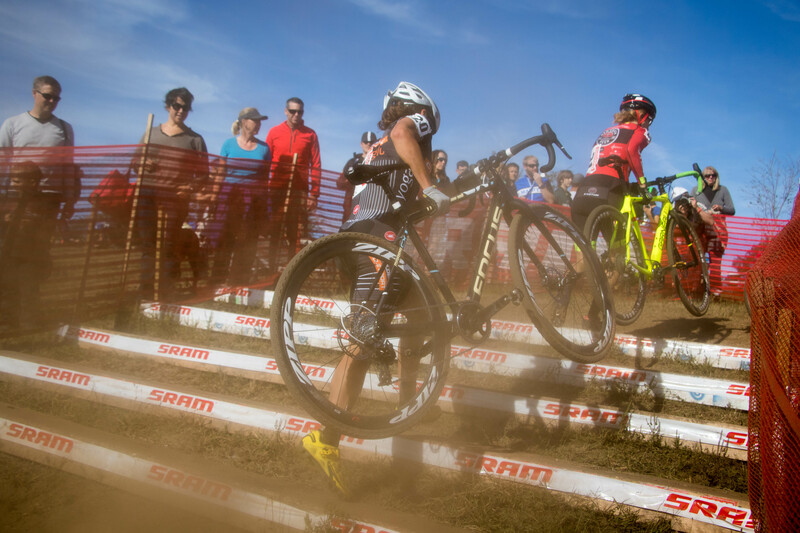 Dry CX is by no means dirt-free CX. Keep a lookout for Men’s day 1 coverage coming soon, and full coverage of both Men’s and Women’s races on day 2.